Round 22 today was at The Old Stables. With all pegs in it would be a good match. The forecast was for early light showers but getting warmer through the day. Kevin Lawson was the winner this week. 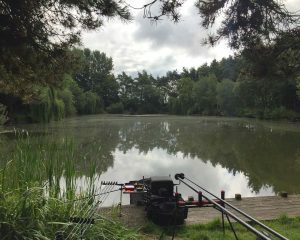 Kevin fished peg 10 on the far side (best peg on the lake) and weighed 51lb dead, well done Kevin. 2nd was Mark Seaman, Mark fished peg 15 and weighed 41lb 4oz well done Mark. 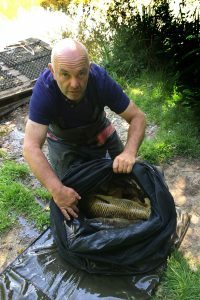 3rd was last weeks winner Mike Dossena with 35lb 4oz well done Mike. Everybody caught some fish but it fished very hard today for some reason. There was 2 D.N.W’s this week. Next week we are of to Park Farm fishery which is a new venue for the club. Should be interesting. See you there.